Help! I have this virus in my system32\driver file! Thread: Help! I have this virus in my system32\driver file! I use Norton 360 2009 and Avast! antivirus 4.8. Recently, i could not update and scan using Norton 360. The scan would just hang. So i downloaded avast! and it alerted me of 2 virus found. Both were unrepairable. They are virus in the system file\drivers. The only option they gave was delete or ignore. But i can't possibly delete system files. What should i do? The location of the virus is C:\windows\system32\drivers\rotscxbnyijievi.sys. As a result, i could not visit any antivirus website. Although i can use the internet, it keeps prompting me that i cannot connect to a server when i use a program for help i.e. 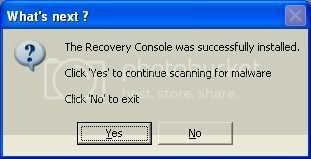 windows help, Norton Symantec corporation. Avast! has alerted me for a boot scan time and again. I have already done that but there is no difference at all. The virus still persists and could not be detected manually(even in hidden folders). So, pls pls tell me what i should do to get rid of this threat without losing any information and program.. Thank you. That said, All advice given by anyone volunteering here, is taken at your own risk. While best efforts are made to assist in removing infections safely, unexpected stuff can happen. Its important that you follow these instructions and rename Combofix as this Rootkit infection will stop it from running if its not renamed. Download Combofix from any of the links below. You must rename it before saving it. Save it to your desktop. See this Link for programs that need to be disabled and instruction on how to disable them. Remember to re-enable them when we're done. When finished, it shall produce a log for you. Please include the C:\ComboFix.txt in your next reply along with a New Hijackthis log. *If there is no internet connection when Combofix has completely finished then restart your computer to restore back the connections. After you run Combofix, download and install this program, it will install HJT as well as the rest of the program. Post the Combofix report and the RSIT log, do so by copy and pasting them in, please do not attach them. Due to inactivity, this thread will now be closed. If it has been four days or more since your last post, and the helper assisting you posted a response to that post to which you did not reply, your topic will not be reopened. At that point, if you still require help, please start a new topic and include a new HijackThis log with a link to your previous thread. Please do not add any logs that might have been requested in the closed topic, you would be starting fresh.